What Guitar Should I Buy - Acoustic or Electric? 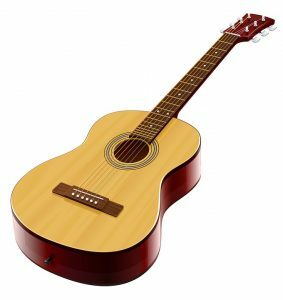 What Guitar Should I Buy – Acoustic or Electric? 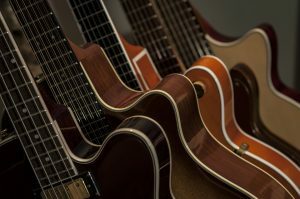 Deciding between buying an acoustic or an electric guitar is an important decision and is often down to personal preference. There really is no right or wrong answer. Opinion divides as to which is the better choice for a beginner. There are practical pros and cons to each too. Because we all love different types of music and get our inspiration from different musicians, each of us will have our own thoughts about a dream guitar too. So let’s briefly look at the options. If rock music drives your desire to play then electric is probably for you. 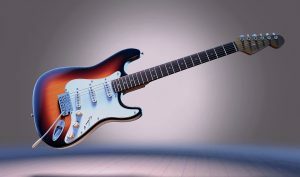 Electric guitar is also cool right! If emulating your guitar hero motivates you to play then go for it. Because electric guitars have slimmer necks and thinner strings than acoustics they are less painful on the soft fingertips of beginners. The improved quality of modern budget electrics is means that a decent electric need not cost a fortune. Modern digital amplifiers and multi-effects pedals allow you to create a huge range of sounds. You can practice electric guitar very quietly either unplugged or via a headphone amp – ideal if you need to keep the noise down at home. String bending and upper-fret access is easier so lends itself to learning lead guitar. Electric guitars are heavier than acoustics. You do need to spend extra money on an amplifier and other accessories. They are not ideal for playing folk and finger style. Without amplification you will struggle to be heard above any singing or backing tracks. Are you inspired by the great singer-songwriters and want to accompany your own singing? Perhaps you want to play melodic / percussive finger style. Is your passion for folk music? Maybe you would like to join in at your local open mic session. Then acoustic guitar could be the one for you. Acoustic guitars are convenient and ready to play any time, any place with no other equipment needed. They come in different shapes and sizes so you should easily find one that’s comfortable to hold. They encourage good technique and start strengthening your fingers straightaway. The thicker strings, larger neck and playing action can make it harder to form chords and be painful on beginner fingers. Budget price acoustics are hit and miss in terms of playability and quality. An electric guitar is generally easier to learn on for beginners albeit you will need an amp and accessories. An acoustic is ready to play anywhere if you can overcome the initial finger pain. As a general guide, buy an electric if you want to play rock, buy an acoustic if you want to play folk. There are some great guitar shops in and around Teesside where you will be able to try out some guitars and get some helpful advice. Here are just a few suggestions to get you started. Steven James Guitar and Amp Centre, Middlesbrough. Richard has been very helpful in my guitar journey. Knowing the guitar and how to teach are important of course, and he has that, but even more important to me is the way he encourages you. He hears what you're playing and identifies the good things there, and points out what you've learned, and then suggests where to go to get to the next level. I find his feedback very motivating, and that's what you want, because above all you want learning guitar, and playing guitar, to be fun. And I'm having lots of fun! Richard is an excellent tutor. I haven’t had a music lesson in 22 years and was nervous about starting up again. Whatever level you are at doesn’t matter. By the end of the second lesson I could play along to a song using what I had learned. Suitable for all ages/abilities highly recommended.